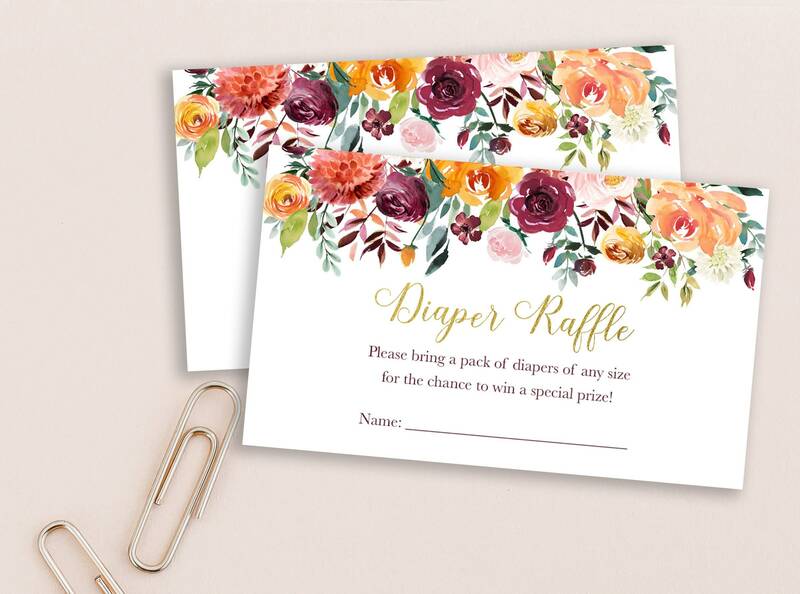 Help the mom-to-be stock up on diapers! You can select either printable or printed options. The printable file IS NOT INSTANT DOWNLOAD. IT WILL BE EMAILED TO YOU. With this listing you can select either a PRINTABLE PDF file with eight (8) cards per sheet, or order as many printed book inserts as you need. Each inserts is about 3.5" wide x 2" tall (business card sized). If you order the printable version, I will email you a PRINTABLE high-resolution PDF with 8 inserts per page. They are designed to print on 8.5x11 and then you can just cut. If you select the printed version, just select as many as you need (only sets of 50 at this time) and they will be printed on 130-lb card stock and mailed to the address provided via FREE UPS SHIPPING!